Sharefest is an online sharing service that uses modern web technologies to share files over P2P-like protocol, but without having to use a dedicated P2P app. All the process is handled within your web browser (see Caveat below). 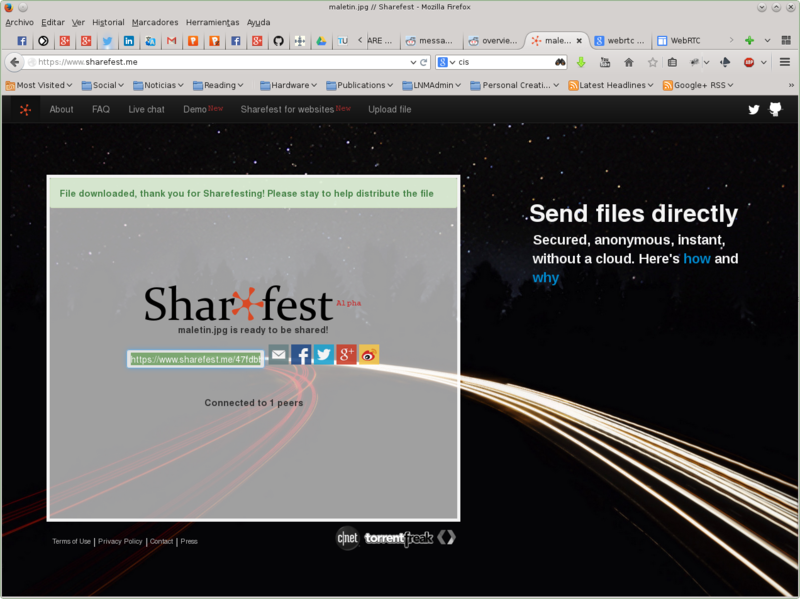 From a user’s point of view, drag and drop a file on the box at Sharefest.me and Sharefest will supply you with a link to a “room”. You can then distribute the link to your friends or via Facebook, Twitter, Google+, etc. Your friends then connect to the room and start downloading and sharing the file. The big difference between Sharefest and services like DropBox or Google Drive is that your files are not stored on a remote host at all (no waiting to upload and no privacy concerns). All transactions occur between the machines of the sharers, i.e., the computers that make up the P2P network. 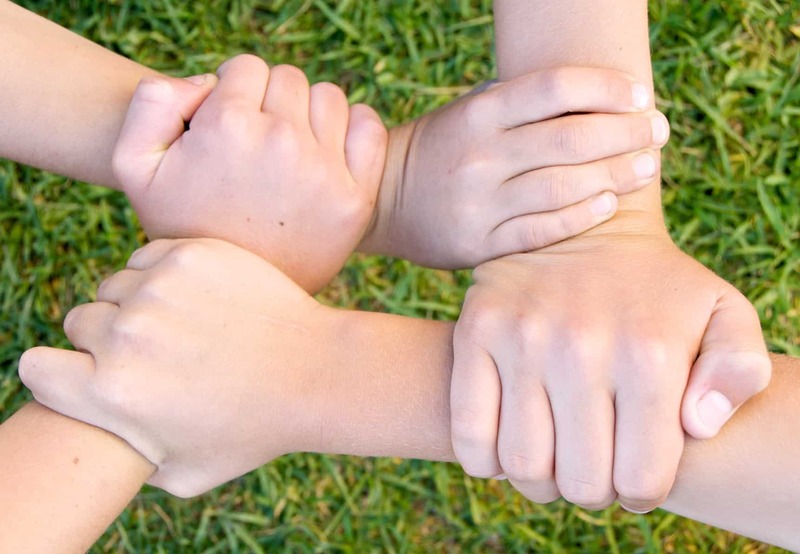 As long as a user keeps a tab with the room open on their browser, she will be part of the sharing network. Another advantage is that all traffic between peers is encrypted and, once a few users from different machines connect to the room, there is no central node that can mess up the sharing process if it goes offline. It also allows for the sharing of very large files, much larger than can be sent by email at any rate. Currently, only the Firefox and Chrome web browsers are supported, since they are the only ones that fully implement WebRTC, the key technology behind Sharefest. WebRTC is also used in live streaming video without special plugins. Hopefully, as WebRTC technology becomes more pervasive, more browsers will be able to support services like Sharefest. Sharefest is free software distributed under an Apache 2.0 license and can be downloaded from GitHub.